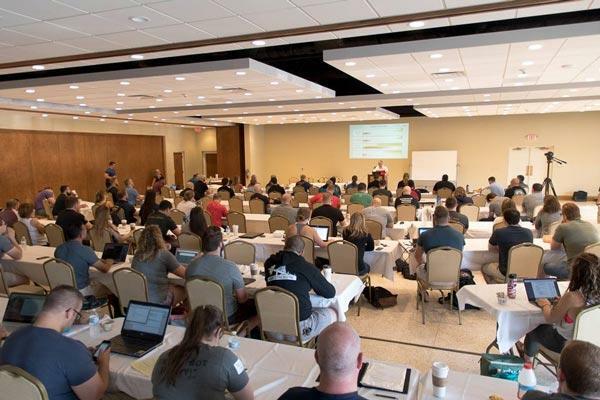 The sixth annual Starting Strength Coaches Association (SSCA) Conference took place in Wichita Falls, Texas. 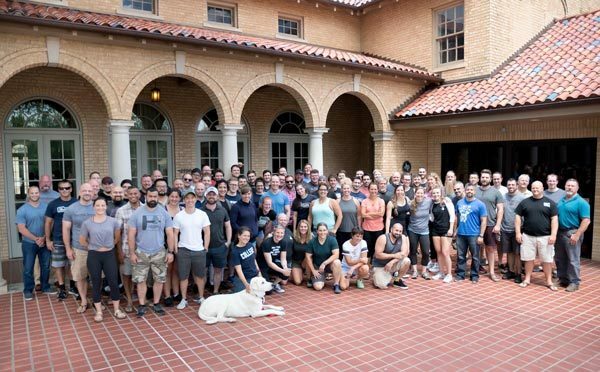 The conference brought together a record 96 Starting Strength Coaches (SSC) from across the world to lift, learn, and connect. Presentations by SSCs dominated the conference with topics that ranged from physical therapy to social capital. The SSCAC opened with the annual Business Meeting. Each of the standing committees gave a summary of their activities. Data Committee Chair Jordan Feigenbaum presented on various data collection efforts. Maintenance of Credential Committee Chair Nick Delgadillo discussed the streamlining of the steps necessary to maintain the SSC credential. Brodie Butland and Nicholas Racculia, of the ad hoc Secession Committee (the committee designated with the task of separating the SSCA from The Aasgaard Company) called for several votes by the members to give the committee the ability to facilitate the establishment of a formal organization. Concluding the Business Meeting were two presentations on projects recording training data: John Petrizzo updated the conference on the Data Registry Project and Matt Reynolds (with Nicholas Racculia) presented training results from the first four months of the Starting Strength Online Coaching (SSOC). After the business meeting, coaches reconvened at Wichita Falls Athletic Club for a clinic by Rip on the Barbell Row. After the demonstration, dozens of coaches trained own lifting and coaching technique and set impressive PRs. It was particularly impressive to witness Chase Lindley squat 600 lbs., Austin Baraki deadlift 665 lb, and Jordan Feigenbaum pull 700 lb. Saturday began with the Science Review facilitated by Jonathon Sullivan and featuring Austin Baraki, John Petrizzo, and C.J. Gotcher. The presentation covered Strength and Endurance with each presenter tackling one aspect of the science. They concluded with a signed position statement on the subject. After lunch three coaches presented on the topics of physical therapy. Darin Deaton focused on barbells in the clinic while Michael Burgos presented on work rehabilitation and Rebekah Cygan rounded out the discussion with approaches for working with the shortcomings of the PT world for better relationships between strength coaches and PTs. After these presentations, stef bradford’s brief remarks provided a clarion call for our organization to avoid succumbing to Conquest’s Third Law of Politics. 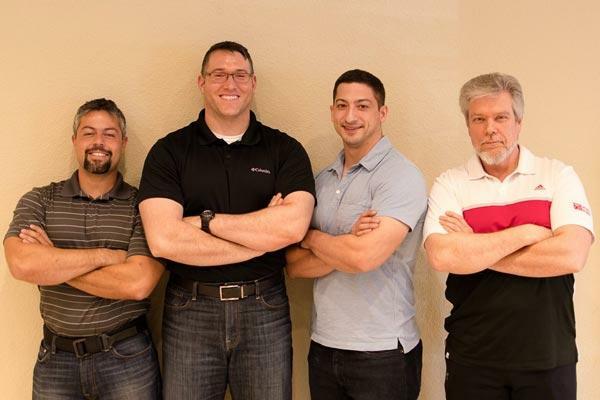 The afternoon presentations turned to running a strength coaching business with presentations by Andy Baker on the client life cycle and Michael Wolf on working a strength program into a CrossFit gym. Matt Reynolds concluded the afternoon with programming: moving clients into intermediate and advanced programs. The evening concluded with guest presenter, James Yeager, who discussed the mindset of the total warrior within a historical setting and how strength is a part of that concept. Brodie Butland led off Sunday’s presentations by discussing developments in case law as it applies to waivers, gym owners and strength professionals. Inna Koppel gave an update on her attempts to investigate the effect of strength training on individuals with dementia and Alzheimer’s disease. Kyoungha Kim presented the Power Clean Pull as a substitution for trainees unable to perform power cleans due to racking limitations. Robert Santana offered evidence on the relationship between body fat and health and longevity. Katherine Bickford focused on incontinence in female lifters and laid out some strategies for mitigating this problem. Finally, John Musser closed the conference with a tightly presented and very useful talk on Social Capital. The conference was another success and the future of the SSCA looks bright. The organization looks to next year to continue to build on the momentum of the first six years.